She remembered the birth in a “teeny tiny little camper” in Crozet with nine people inside. There was the set of twins welcomed into life by 20 family members and friends of the parents, and the surprise of the birth of a daughter when the ultrasound had appeared to show it was a boy. And who could forget the women who gave birth to daughters an hour apart at Brookhaven Women’s Health and Natural Birth Center, Ward’s business off Port Republic Road. Neither knew the other was there until afterward, but they’d been the maid of honor for each other’s weddings. When you’re a midwife who’s worked 502 births and counting, something new always seems to be around the corner. The 36-year-old Harrisonburg native who graduated from Spotswood High School and Eastern Mennonite University eclipsed the 500-birth plateau on Jan. 5, when she helped birth a son at the mother’s home. Since it opened in 2010 on, appropriately enough, Labor Day, Ward said Brookhaven staffers have had a hand in 461 births. Fifty-five mothers have had to be taken to Sentara RMH Medical Center for a cesarean section or because they decided in the moment that they wanted an epidural to deal with the pain of childbirth. Only a couple have had to be taken to the hospital due to excessive bleeding after birth, she said, and those moms were fine after treatment. 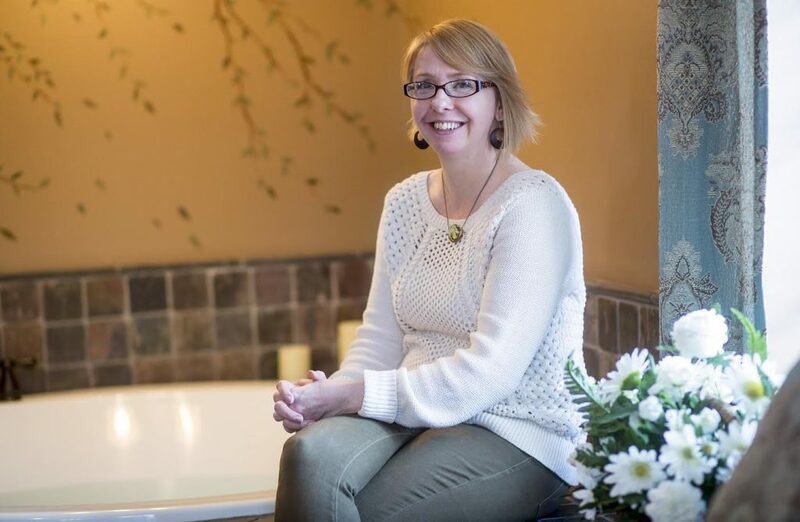 Misty Ward, of Brookhaven Health and Natural Birth Center in Harrisonburg. Ward said her path to midwifery started in Virginia and took her to a maternity clinic in Senegal, a hospital in the Dominican Republic, and a birth center in El Paso, Texas, where few clients spoke English. She attended about 150 births during that five-year apprenticeship. Natural child birth is most prevalent in areas with free spirits or very conservative populations, she said. 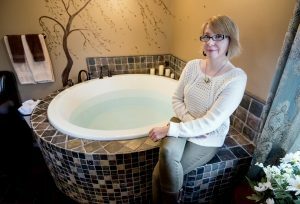 Mennonites have used midwives for years, and Ward has attended the delivery of eight grandchildren of one local Mennonite woman. She said she thinks interest in midwifery is growing because of documentaries on home births and midwives available on Netflix, because the World Health Organization recommends them, and because a recent study found more health systems should employ midwives because they’re “the gold standard” to improve outcomes in infant mortality. Some parents prefer natural births or want to avoid drugs hospitals often use during labor. Others prefer the cost. For many, Ward said, the relationship a midwife makes with an expectant mother is the key. Bree Egger had Ward as her midwife, then was hired as an office assistant at Brookhaven. Her first two births were in hospitals, but she didn’t feel like she had as strong a connection with her doctors or as much control as she got with midwifery. Brookhaven provides patients a set price covering everything from prenatal care through six weeks after the baby arrives. Those with insurance are charged $4,500. For uninsured patients who can pay in a timely manner, the fee is discounted to $4,000. Ward said the fee is about one-third the cost of a hospital birth. The business has grown since she opened it and assisted 40 births in the first year. It’s now plateauing at about 100. Maya Hawthorn is the only other certified professional midwife at the clinic, though Ward said she’s about to add a third. She’s attended as many as seven births in a week, she said, and once spent two days with a mother in labor. Births often are recorded and even Skyped. Published in the Feb. 1, 2017 Daily News-Record. Misty, so glad you are offering this option to the families in your area. When I was having babies 25-35 years ago, the home birth option was available in my area of south central PA. After having a wonderful experience with home birth with our first while serving with MCC in Guatemala, I wanted that for the rest of my pregnancies. I was able to have a home birth for all five of my children, including my surprise breech. I also worked for about 12 years as a certified childbirth educator under Informed Birth and Parenting and as a birth assistant to the midwives of a local OB/Gyn practice at the home deliveries and a doula at countless others. We thought that the mid-wife and homebirth trend was on the move then, but the home birth option did not keep up the momentum as hospitals tried to make the hospital setting more “homelike” (although those of us who have done it at home know that it does not come anywhere close! :-) ) However, it is all about making information and choice available so that each family has the ability to make the choice that is right for them. Blessings as you continue to serve the families in your community. Harrisonburg and the surrounding area are better for your work, Misty! Birth with mom’s and babies interests at the center, and with a midwife trained by attending so many births is a beautiful thing! How lucky we are!